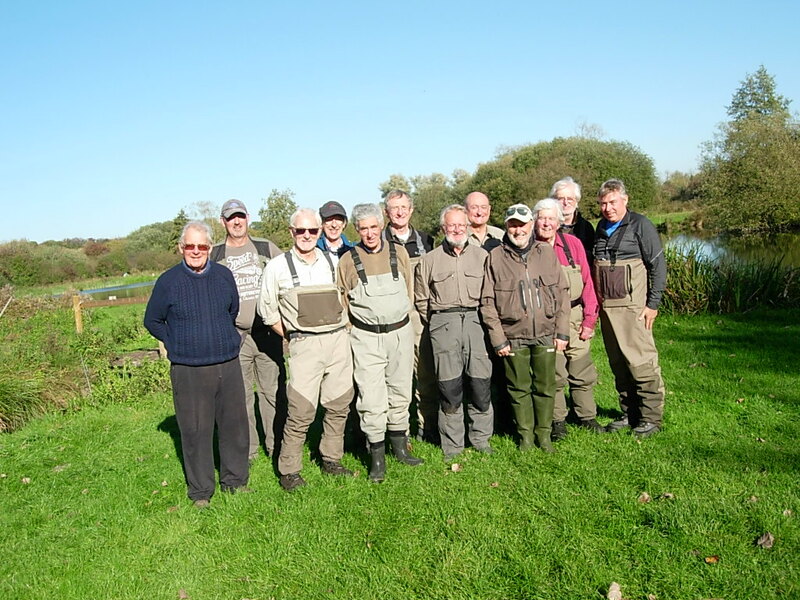 Bob Sharp fished Ravensthorpe with two friends on Thursday, 28th March 2019 and had a very successful day. The fishing in the morning started very slowly so they moved to the middle of the reservoir into the deeper water. There they found feeding fish and started catching on size 12 & 14 black buzzers, fished as a team of three on a floating line and a 6m leader. Richard Ellis was the Guest Speaker on 21st March 2019. He is the Fly Tying Awards and Fly Tying Competition Secretary for the Fly Dressers’ Guild and the Treasurer of the Thames Valley Branch of the Fly Dressers’ Guild. Richard tied six nymph patterns for still waters and rivers together with three dry fly patterns and an emerger pattern. Tom Bird was the Guest Speaker on 7th February 2019. Tom is a member of the England Squad and the Five Nations Team and is a Ranger and Fishery Guide at Draycote Water. Tom’s passion is fishing the dry fly on still waters and he has gained considerable experience and respect for his demonstrable skill at this aspect of fly fishing and also based on the Dry Fly Fishing Master Classes he has given at Draycote. Lindsay Simpson was the Guest Speaker on 17th January 2019. The evening commenced with a short video of his visit to Norway last year to experience the superb grayling fishing that is available. Lindsay started by tying two grayling flies; one described as a sacrificial tag fly with a 1 gram jig back for use as the point fly and the other as a grayling nymph fished on a dropper. Clive Collier was once again the Guest Speaker at the Christmas Special evening. The main focus of his presentation was grayling flies particularly in the context of the Hanak European Grayling Festival held on the River Dee in November of 2018. Clive demonstrated the use of Edgebrite in the tying of a grayling hare’s ear pattern with which he has had success. He also tied a Perdigon pattern which has been successful on the welsh River Dee at Llangollen followed by a Squirmy Wormy pattern tied to international rules. The Guest Speaker on 22nd November 2018 was Caroline Emmet. Caroline is an Editor of the Fly Dresser, the journal of the Fly Dressers’ Guild which is published quarterly. Bob Sharp, Martin James and occasionally Keith Allison went river fishing from April through September 2018. This is Bob’s report of their experiences. This summer’s weather has dictated the quality of the river fishing in the south of England. We have experienced floods, low water and lots of combinations in between. We delayed starting fishing until nearly the end of April, only to find the River Avon in flood! This was followed later in the year by very hot weather with open, bright blue skies which adversely affected the fishing. Chris Skillen returned as a Guest Speaker following on from his previous presentation in November 2017. The theme for the evening was fly tying techniques and their demonstration on specific fly patterns – particularly detached body daddy, crippled midge (loop hackle and parachute) and deer hair sedge. Keith Allison and Stuart Foulds, after hearing about John Goldie’s and John Poote’s spectacular session at Draycote Water the previous week, decided to try their luck on Wednesday, 8th August.